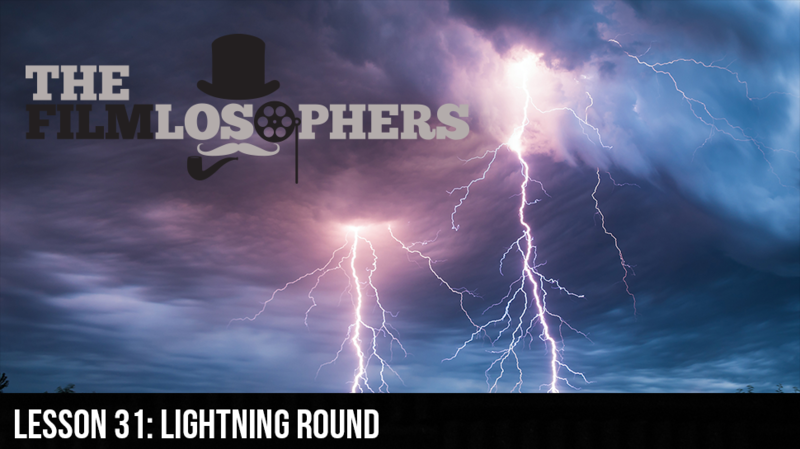 Welcome to our first lightning round! Eddie Villanueva and Chad Riley, take things up a notch (BAM) and let the words fly, in this special edition of The Filmlosophers! Dialing up the dialogue, and taken over by the clock, the duo talk about everything from on-screen vigilantes to Netflix, with overrated directors and Halloween candy thrown into the mix – and only five minutes to tackle each subject! Does the team beat the clock and get in their thoughts? Find out in this episode of The Filmlosophers! Also, stick around towards the end as we make an announcement about our upcoming Octo-Burton Fest giveaway!